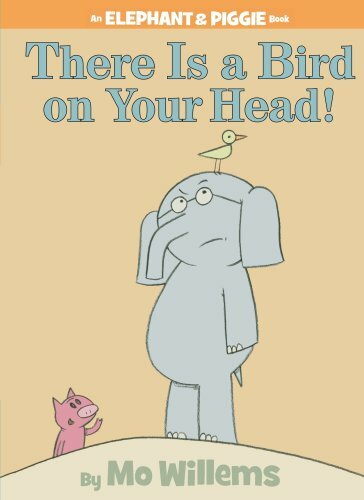 My Friend Is Sad; There Is a Bird on Your Head! 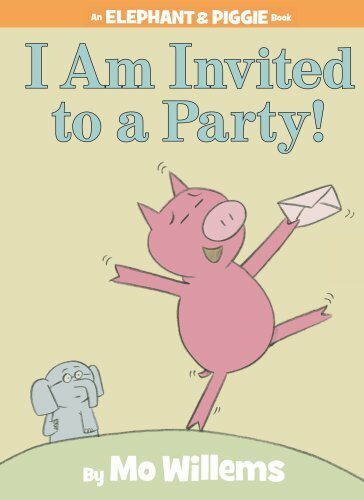 ; I Am Invited to a Party! ; Today I Will Fly! The beauty of these laconic stories is their sparse narrative. On the surface not much happens, but what happens is engaging. Piggie is invited to her first ever party and Gerald helps her get ready. The underlying narrative deals with the pair’s anxiety about a new social situation and whether they will fit in. 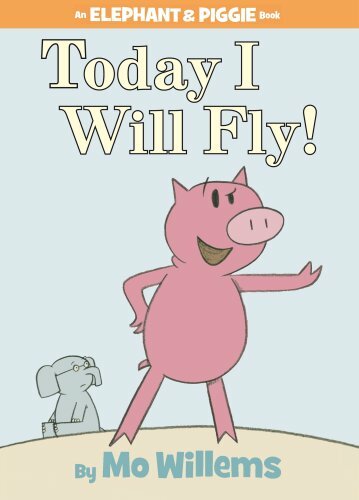 Piggie plans to fly. Gerald tries bringing her down to earth. This is about accepting our limitations but still having dreams. The stories appear simple and the dialogue is deceptively straightforward, but much is conveyed through the use of different text sizes. The series reminded me of Maurice Sendak’s speech bubble picture books, though whereas they delved through illustration into an imaginative landscape, these stay on the same stage. 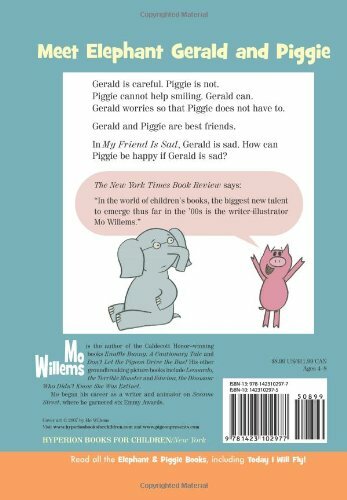 Mo Willems has drawn a lot out of a simple format and children will enjoy the humour of these lively exchanges between two likeable characters.